Quail Island has a fascinating past set within the stunning surroundings of Lyttelton Harbour. Enjoy a half day or full day trip to the island when you jump on Black Cat Cruises Quail Island ferry. In just fifteen minutes you’ll be standing on your island escape, ready for relaxation or adventure. Native vegetation, an abundance of native birds, shipwrecks, a swimming beach, and signs from the days of Antarctic explorers lends to a very unique Christchurch activity. Be sure to take your lunch and your swimmers with you for a great day out! Tune into More FM’s Workplace Social Club (10am – 3pm) with Amber Russell OR catch up with our More By Four team to secure your family pass! Text keyword “CRUISE” and your details to 559 to go in the draw. 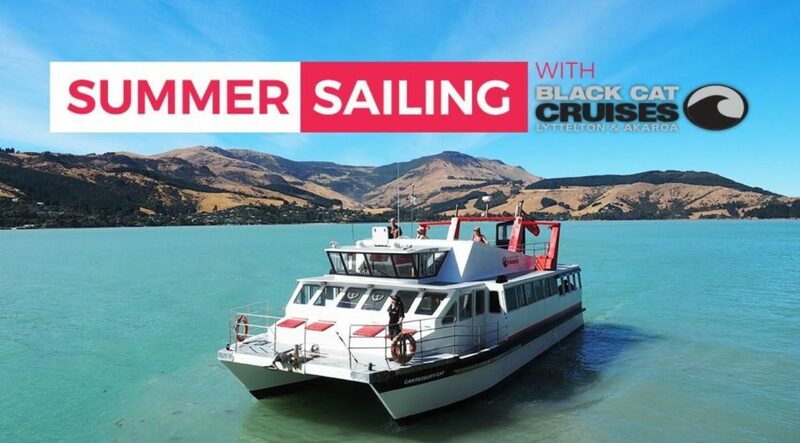 On Sunday 10th December, More FM Canterbury will take you and your family to Quail Island on a Black Cat Cruises Catamaran for the afternoon!